The Precor C956i treadmills are celebrated commercial treadmills and can be found at many health clubs and fitness facilities worldwide. The Precor C956i boasts a powerful 3.2 Horsepower continuous duty motor and sports the patented Ground Effects Impact-Control system which provides optimum shock absorption. The treadmill allows a wide range of manual difficulty and the steel frame is also strong and durable, enough to withstand everyday use in a commercial environment. 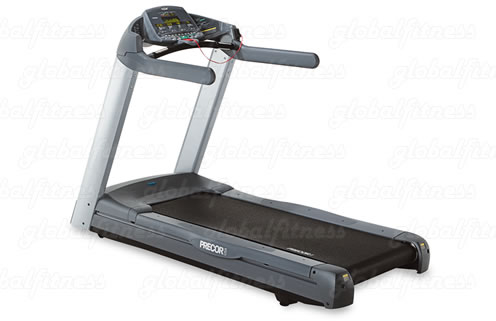 The Precor C956i are a pleasure to own. And use, professional trainers love the quiet motors and rollers, the extensive workout programs, and the aesthetic appeal of its design. In fact, the Precor C956i commercial treadmill is such an attractive package, that it's worthy to be considered an affordable alternative to other treadmills that exceed costs of twice its worth.